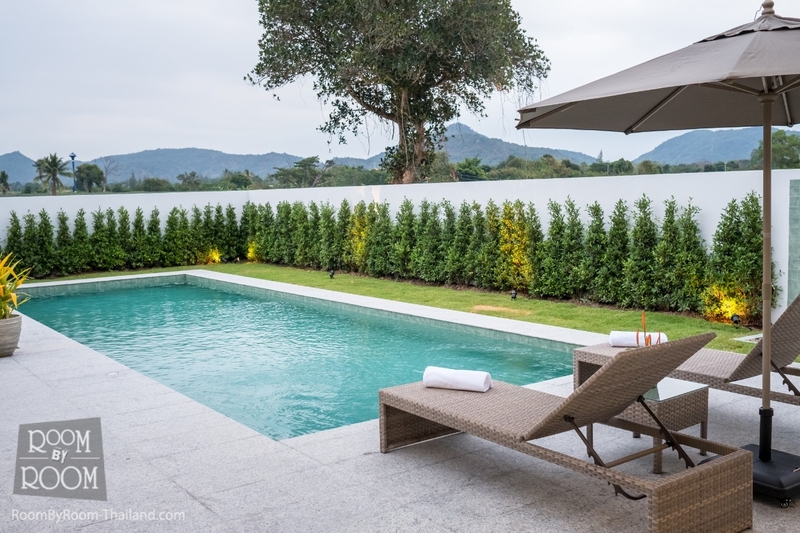 Baan Phu Thara translates as “Home – Mountain – Water” epitomizing the quiet natural environment of this development. 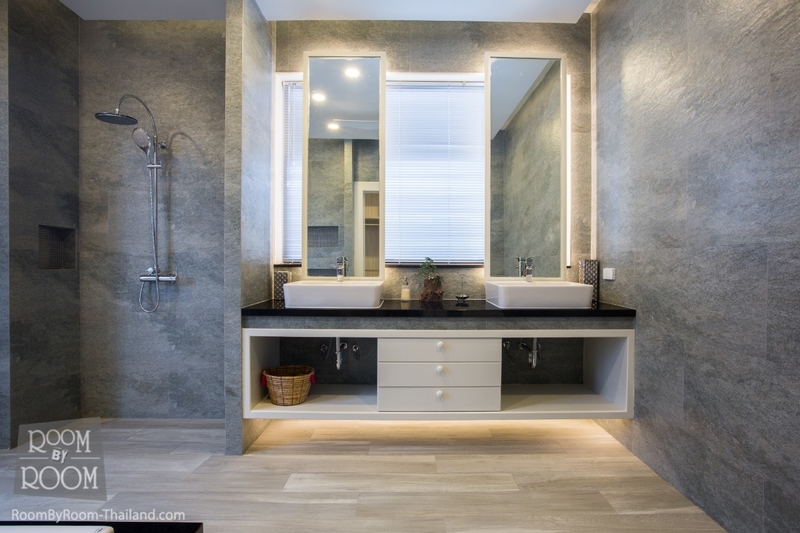 Creating luxury environments with low maintenance and low energy costs. 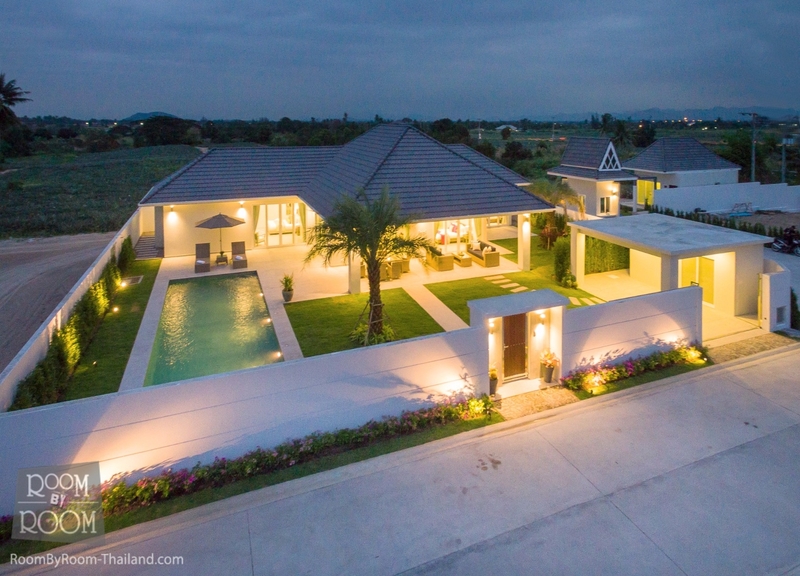 A luxury private estate of 41 properties set on 21 Rai of prime land located mid-way between Hua Hin center and Black Mountain. 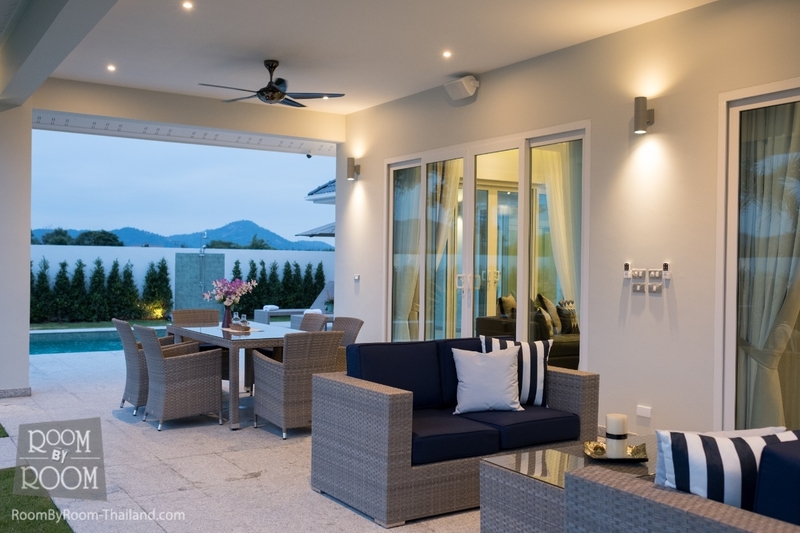 A quiet natural stress free environment with mountain views and cool breezes. 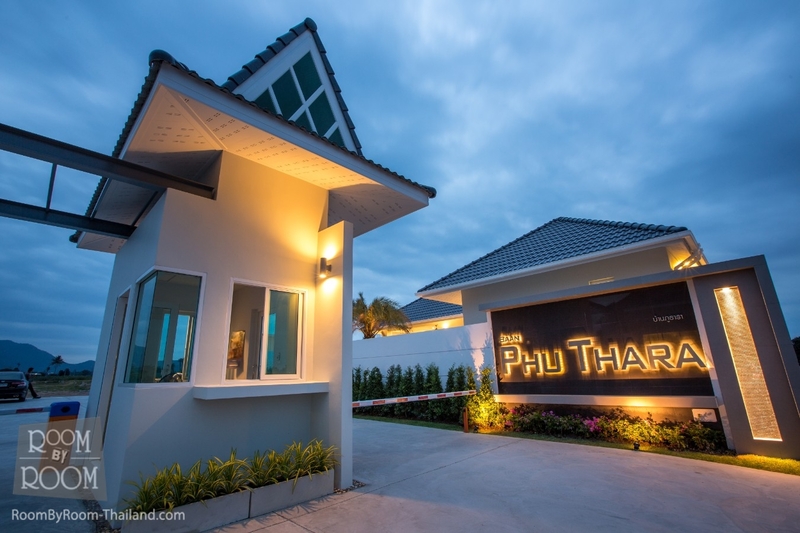 An outstanding location only 9 km (10 minutes’ drive) from the center of Hua Hin and the many beaches but far enough away to ensure peace and solitude. 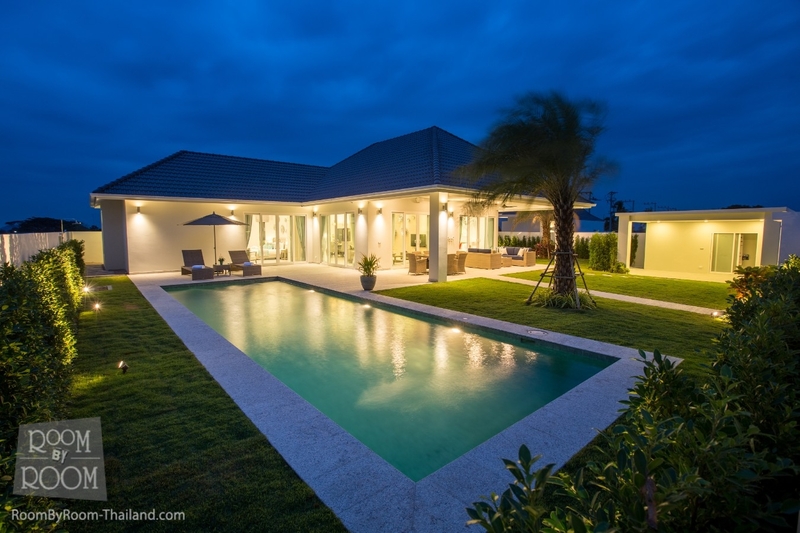 Approximately 3 km from the award winning Black Mountain Golf Course, Hua Hin International School, Water Park and Hua Hin Bypass. 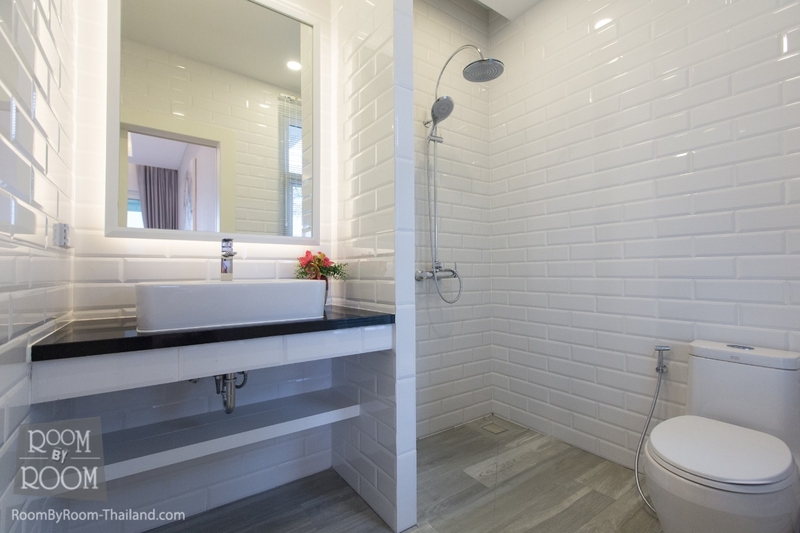 A ecologically advanced development designed with many premium features to maximize savings and minimize the cost of living. A innovative “Community Solar Development” energy sharing for a sustainable future. Fitness center and communal spa bath set in quiet tropical gardens that epitomizes relaxation and refined living. All of our villa designs are wheelchair access friendly. 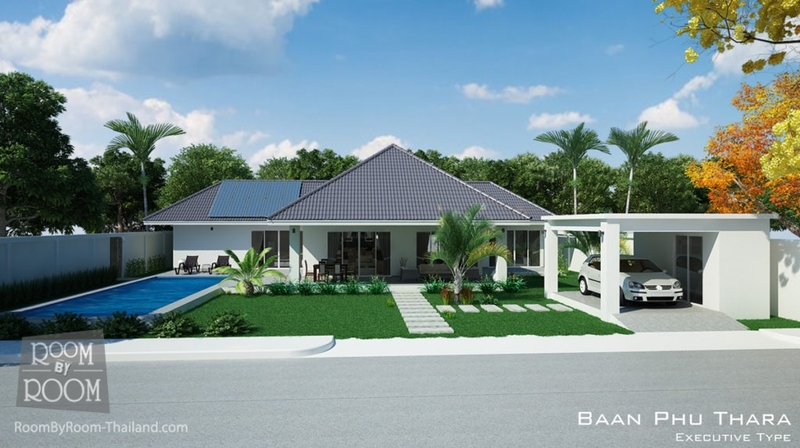 Executive Villa is a three bedroom design with all bedrooms having en-suite facilities, this villa has a living area of 203 Sqm. 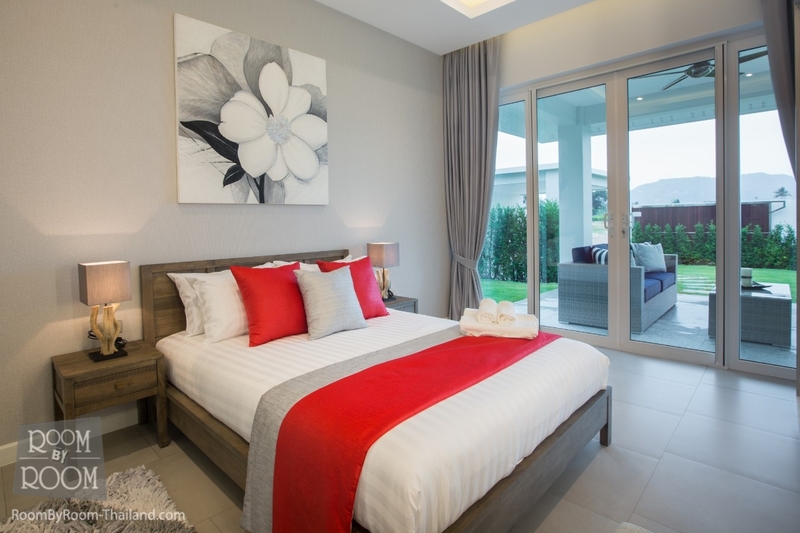 All bedrooms enjoy access to the terrace and 12m x 4m swimming pool. 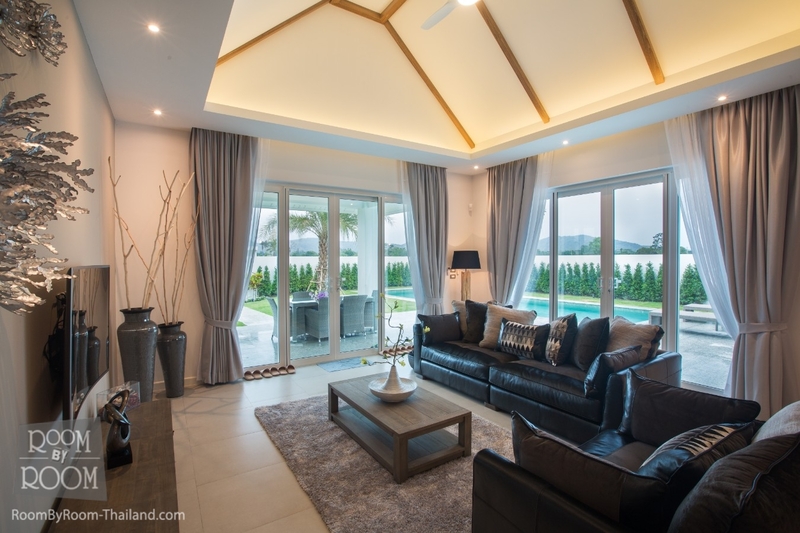 The main area of the house, which includes the Kitchen, Dining and Living room, is open plan and this villa also has a separate laundry room and office. 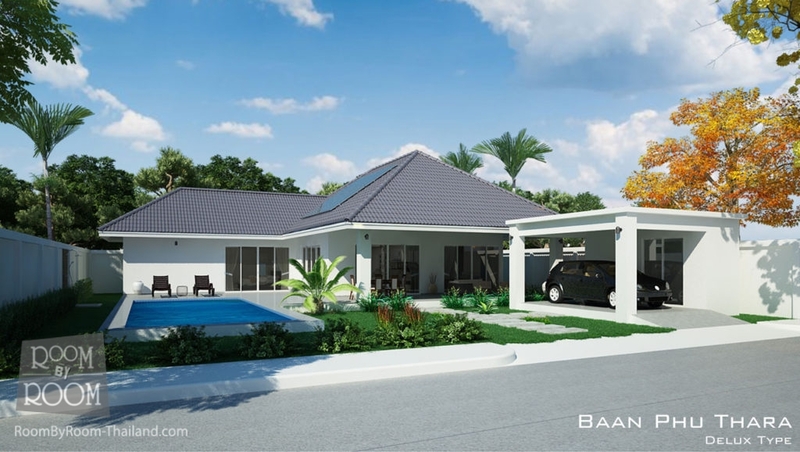 Deluxe Villa is a three bedroom design with all bedrooms having en-suite facilities, this villa has a living area of 183 Sqm. 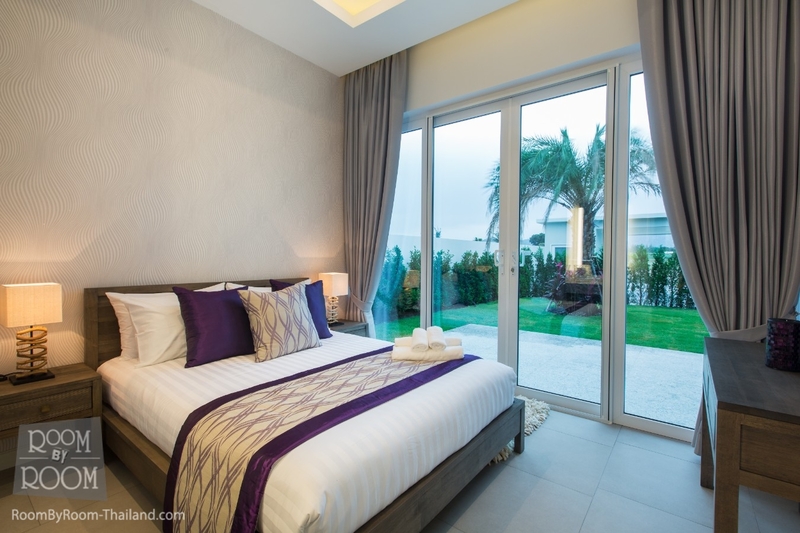 The master and first guest bedroom enjoys access to the terrace and a 10m x 4m swimming pool. 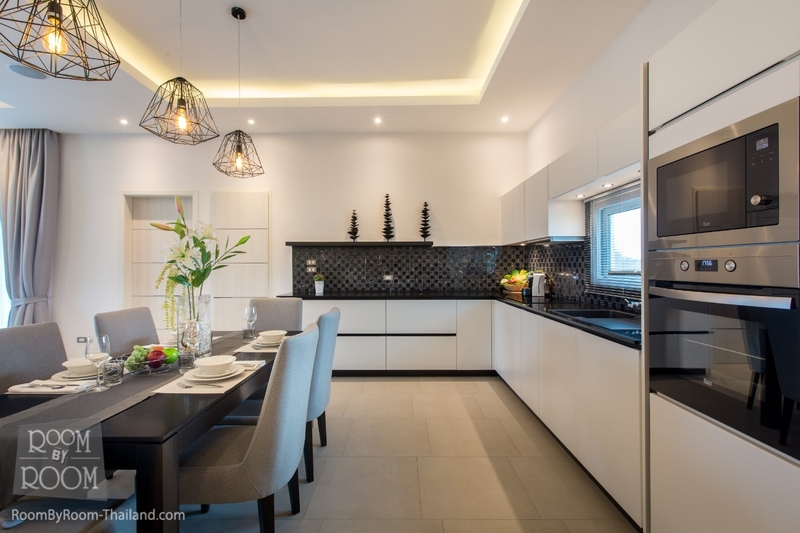 The main area of the house, which includes the Kitchen, Dining and Living room, is open plan. 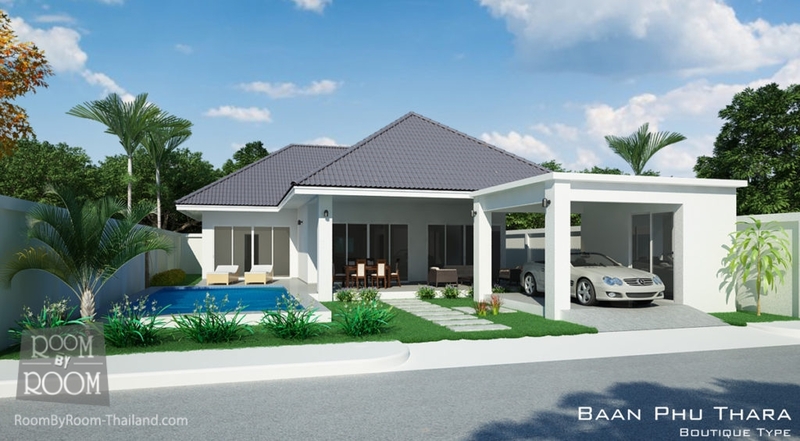 Boutique Villa is a three-bedroom design with all bedrooms having en-suite facilities, this villa has a living area of 163 Sqm. 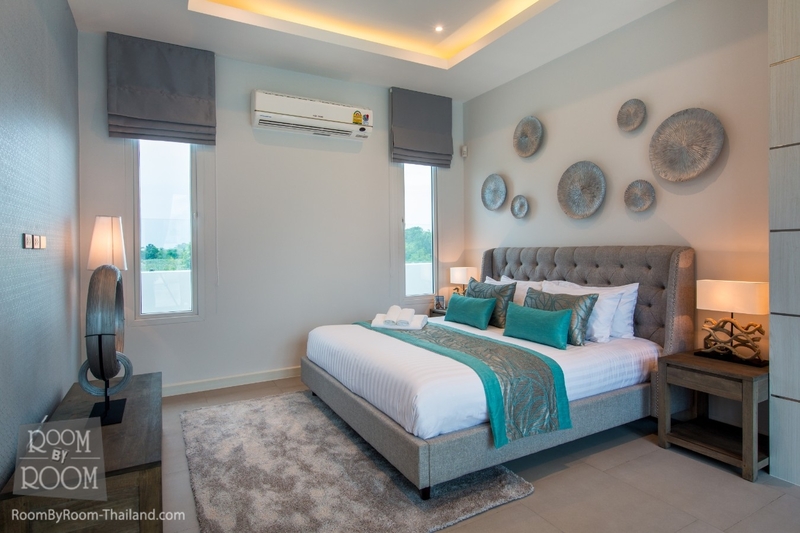 The master and first guest bedroom enjoys access to the terrace and 8m x 4m swimming pool. The main area of the house, which includes the Kitchen, Dining and Living room, is open plan. 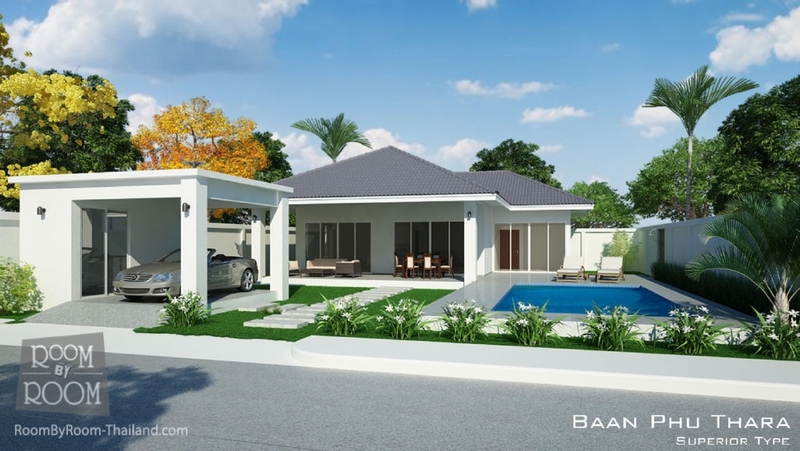 Superior Villa is a two bedroom two bathroom design with the master bedroom having en-suite facilities and a large walk-in closet, this villa has a living area of 148 Sqm. Both the master and Guest bedrooms enjoys access to the terrace and 8m x 4m swimming pool. The main area of the house includes the Kitchen, Dining and Living room, is open plan. 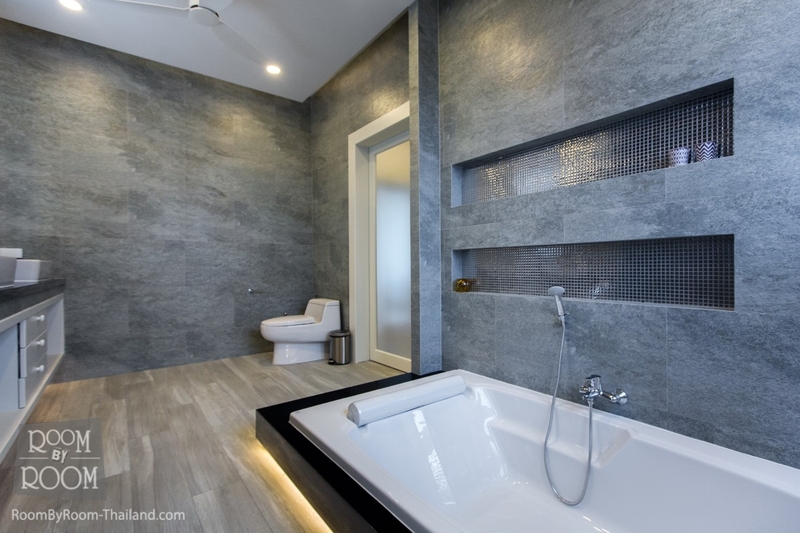 Fitness center, communal spa bath and sala set in quiet tropical gardens that epitomizes relaxation and refined living.